We pride ourselves on using natural, recycled, and sustainable ingredients in our products. We also take strive to leave the smallest carbon footprint possible on our Earth. 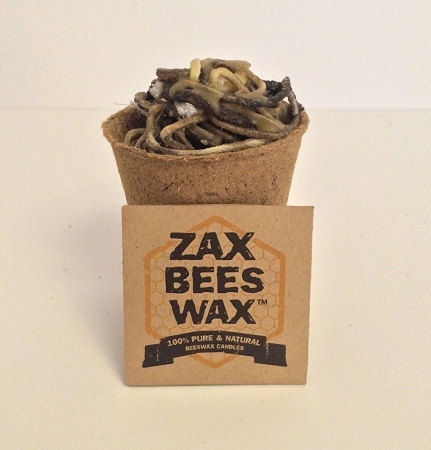 With that in mind, we created our Zax Beeswax Fire Starters. Our Zax Beeswax fire starters are perfect for starting those outdoor fire pits and bonfires without the need for gasoline or lighter fluid. They can also be used to start that wood fire in your traditional fireplace. Once lit, our beeswax fire starters will burn for 10-15 minutes using the beeswax soaked inside as fuel. 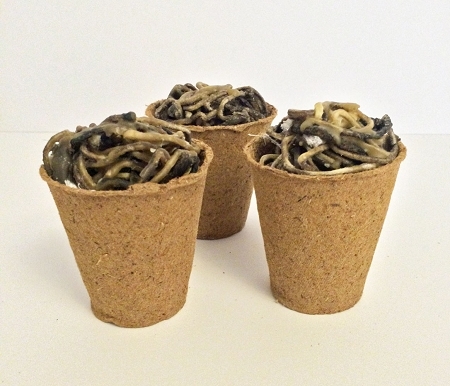 These are a must have for any camping enthusiast or those conscious about the environment. Our beeswax fire starters are made from natural cotton wicking and/or cotton cheesecloth that has been soaked in natural beeswax during our candle making process. Those items are combined inside our 2-1/3"-100% organic & biodegradable pots made from 80% recycled wood fiber and 20% peat moss (no glues or adhesives used). Then we top it off with a little more beeswax to bind it all together. Burning Instructions are provided with the fire starters upon purchase. It was nice to use instead of gasoline or starter fluid. Its great that Zax's product list includes these.